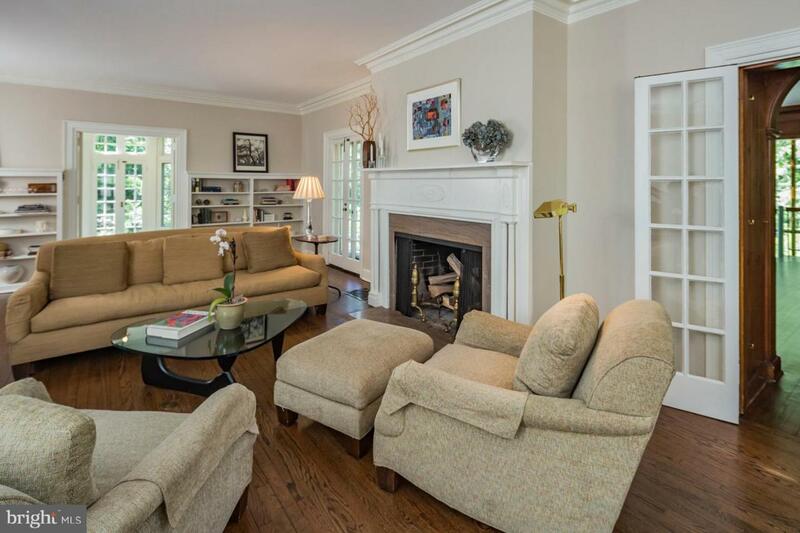 Embraced by a circular drive, elegant swimming pool, and almost 2 manicured acres bursting with color and texture, this impressive 1926 colonial is a warm and noble presence in Princeton's long-admired Western Section. 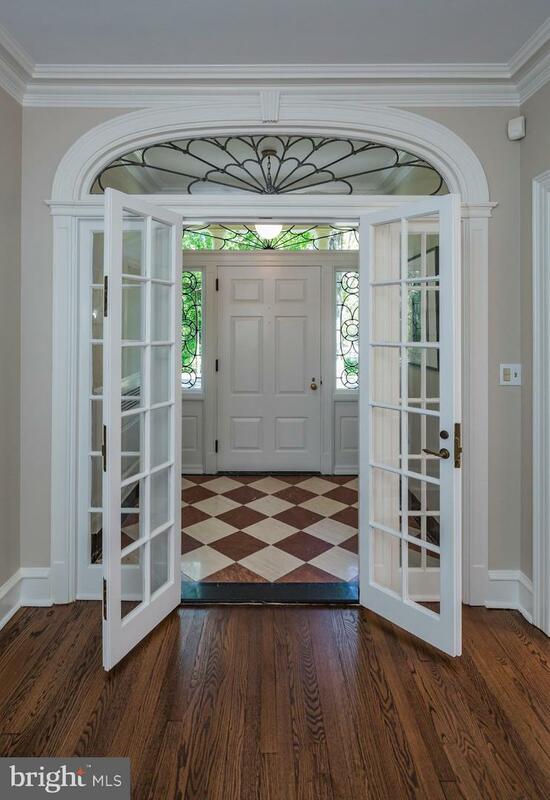 This original Rolf Bauhan design, with thoughtful improvements by Pierre Coutin, has a lovely balance of intimate and entertaining areas, trimmed in exquisite period millwork, four fireplaces, and French doors. An airy entrance hall with front-to-back light introduces lofty ceilings, and fans to grand dining and living rooms, a mahogany-sheathed library, and a circular conservatory that dazzles with light. A glass atrium enfolds a spiral staircase to a gym and rec room. Beautiful terracotta tiles lie underfoot in the butler's pantry, spacious kitchen, and an expansive family room awash with natural light from skylights and broad expanses of glass that frame the grounds. 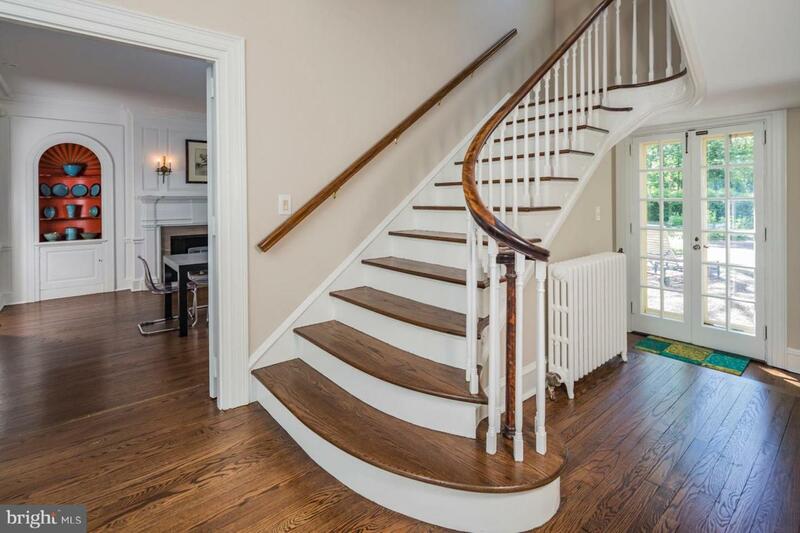 A lyrical staircase curves toward 5 bedrooms and an office on 2 floors. 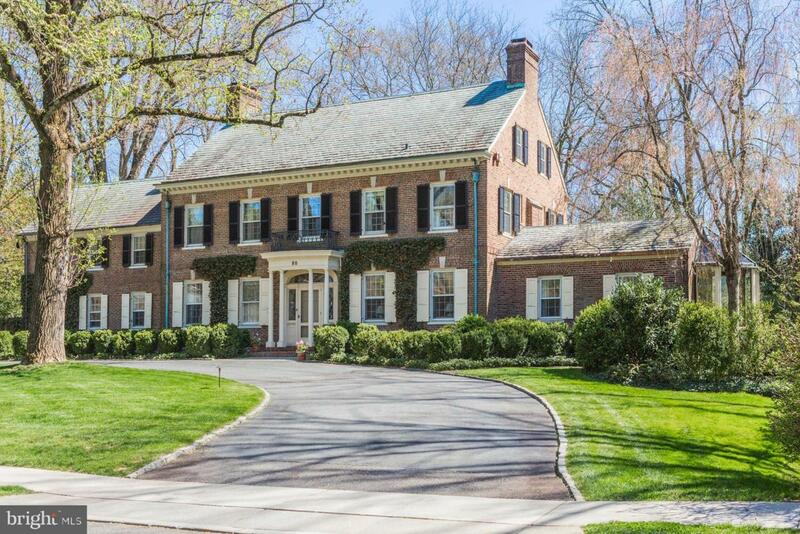 Moments away, Princeton's downtown beckons with fine shops, restaurants, and theaters. Equipped with a whole house generator.